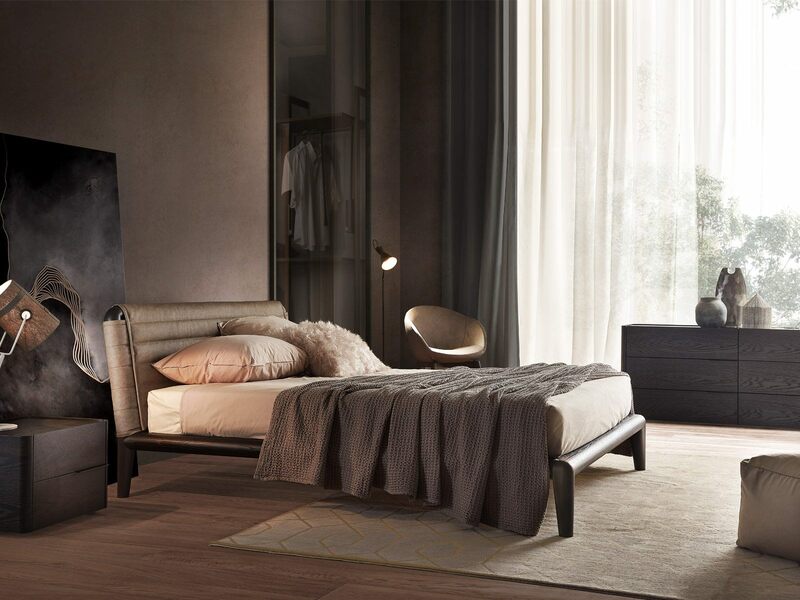 Innate elegance that resembles the inside of a prestigious British car, combined with all-Italian design. 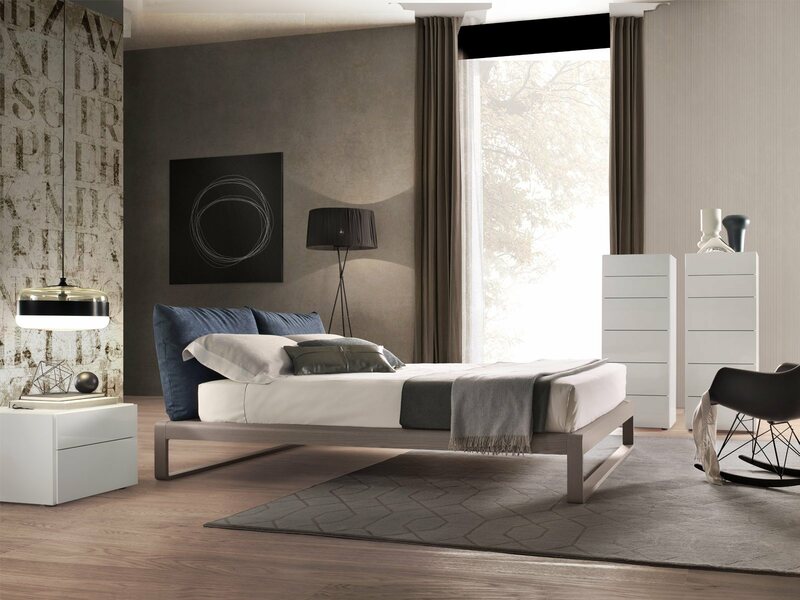 The Callas upholstered double bed is a timeless classic with a retro mood designed to furnish the bedroom with an understated and modern style. 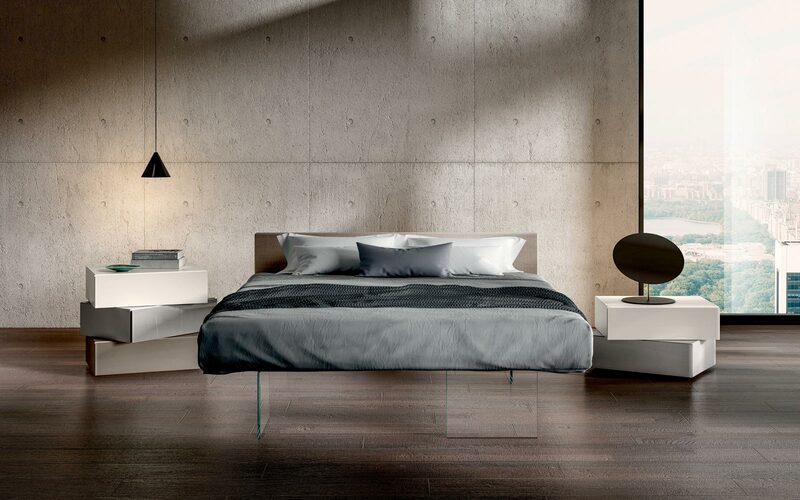 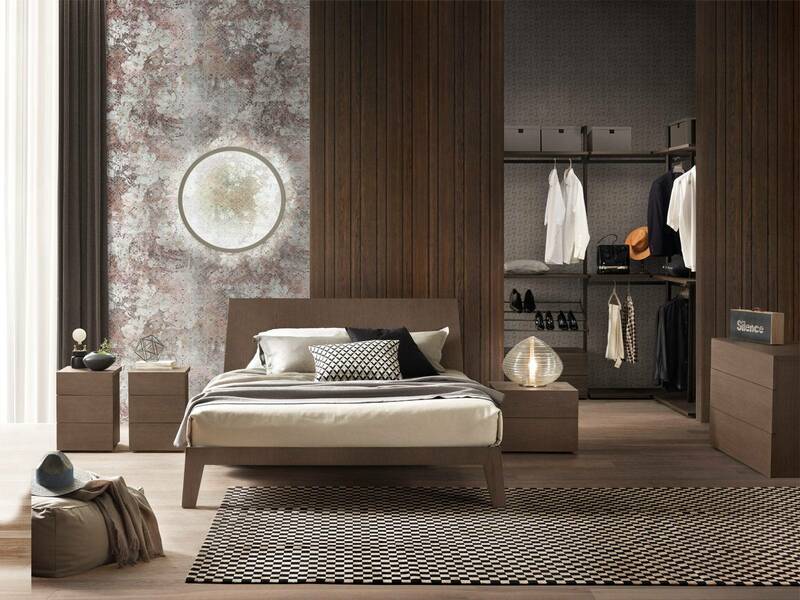 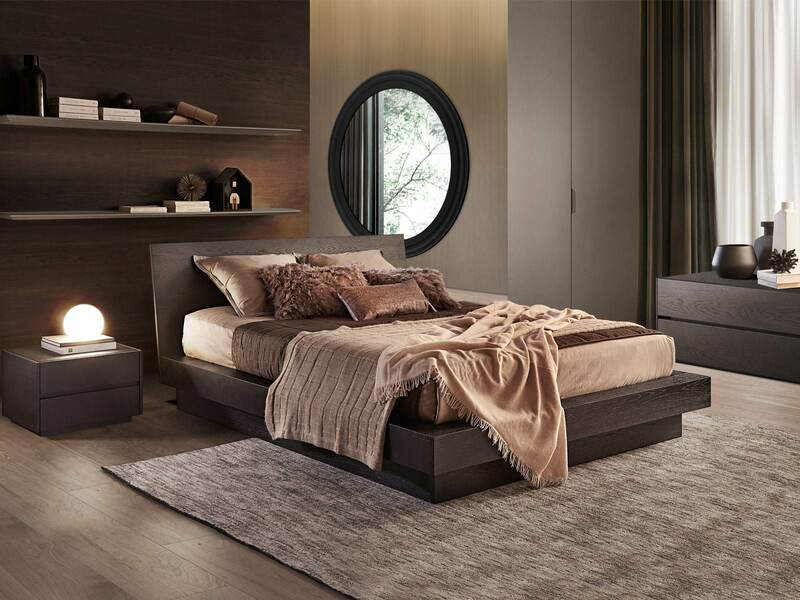 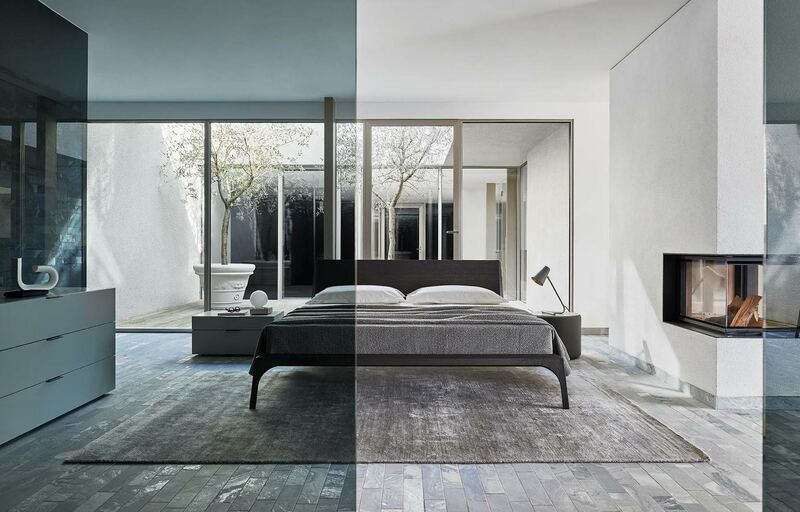 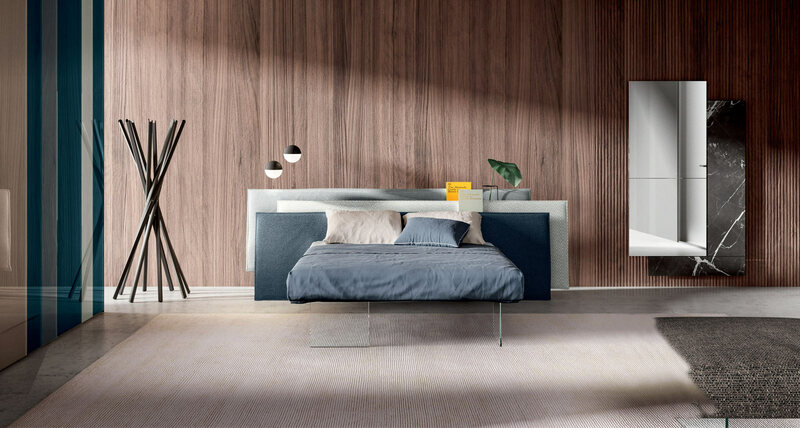 The minimalist and compact structure of this upholstered bed is framed by refined wooden workmanship in tabacco, creola or gloss basalto oak that sets off the stateliness of the modern bed. 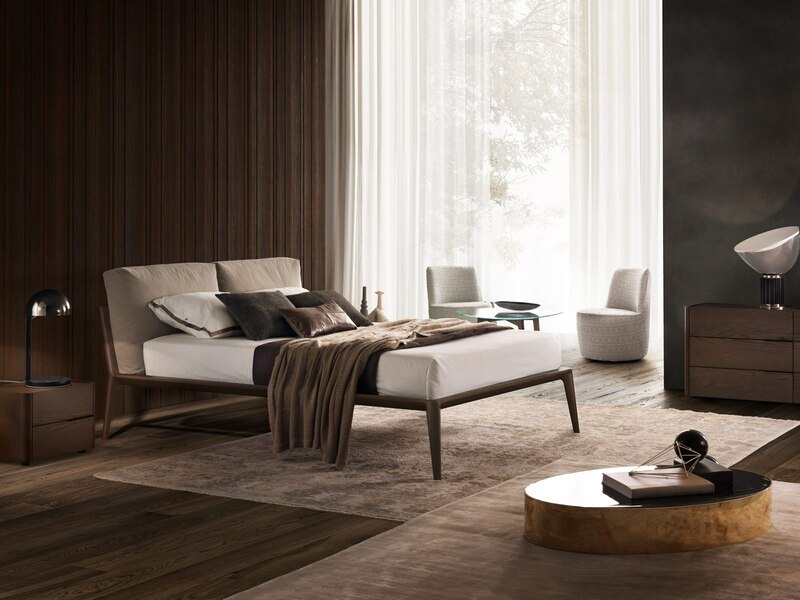 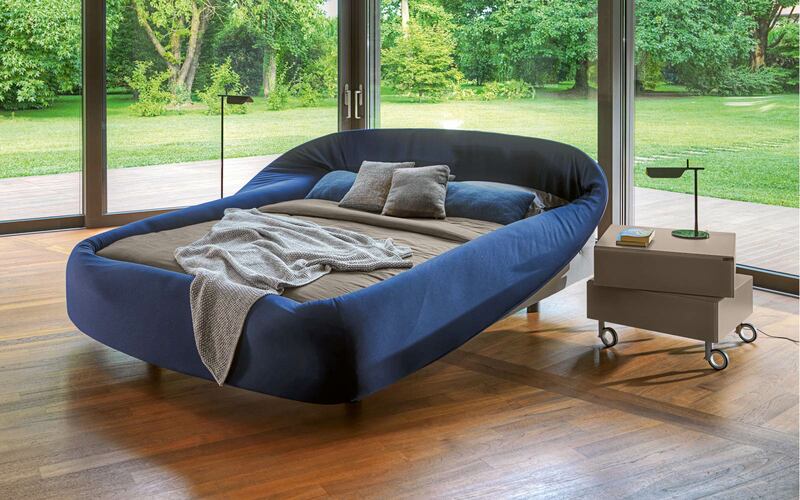 Available upholstered in leather or eco-leather and also in storage base version, the Callas upholstered bed adds a touch of exclusivity to all your relaxing moments.